This is my friend Tony. 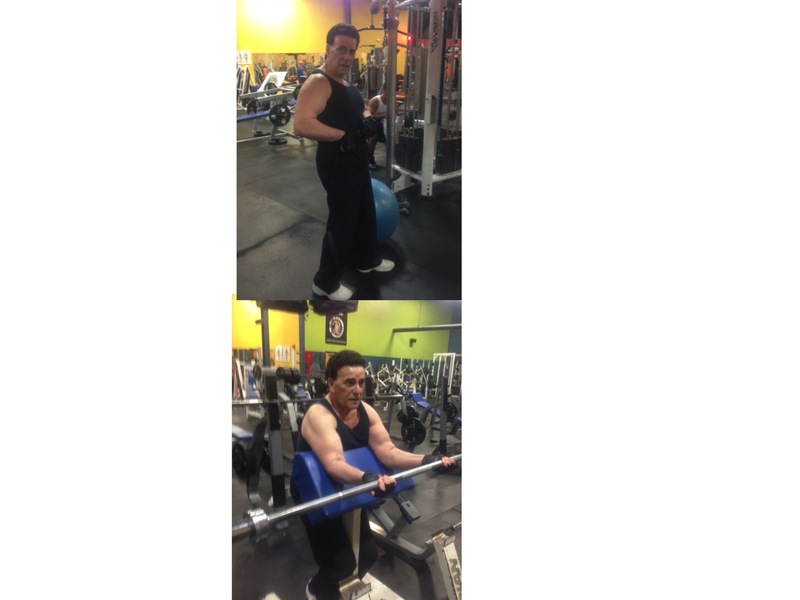 Tony started lifting weights when he was in his twenties, and then stopped for over 30 years. He started training again at age 62. He has been following Vince Gironda’s programs for eight years. He is now 70 years old and looks great. He owes it all to Vince. He says that he lifts the same amount of weight that he did when he was in his twenties. He loves training and says that he will lift until the day he dies. He is a great inspiration. He trains with the correct methodology and believes in the natural way is the only way. He is the man WITH THE GOLDEN GUNS. Well done Tony! Keep up the good work. Here Tony is performing the preacher curl with correct form. No matter what your age you too can weight train and work the guns.